MSI is a statewide CPR and First Aid training institute delivering high quality, hands-on training to daycare providers, construction and manufacturing industries in Oklahoma. We serve the Oklahoma City and Tulsa metropolitan areas, including multiple locations across the State of Oklahoma. We Believe In Saving Lives! LEARN TO SAVE LIVES IN ANY OF OUR LIFE-SAVING TRAINING CLASSES TAUGHT BY CERTIFIED INSTRUCTORS! WITH DESEASE MANAGEMENT EDUCATION, EMPLOYEES WILL WORK SAFER AND LIVE HEALTHIER LIVES; THEREFORE DECREASING HEALTHCARE COSTS AND EXPENDITURES, AND INCREASING YOUR RETURN ON YOUR INVESTMENT. SIGN UP AND REGISTER FOR A TRAINING CLASS	WITH US! This training class is a comprehensive safety program designed for anyone involved in the construction industry. Specifically devised for safety directors, foremen and managers. We offer many certified and approved training options to meet the needs in any industry. This training class is available at your place of business, home, or a meeting place convenient to all. 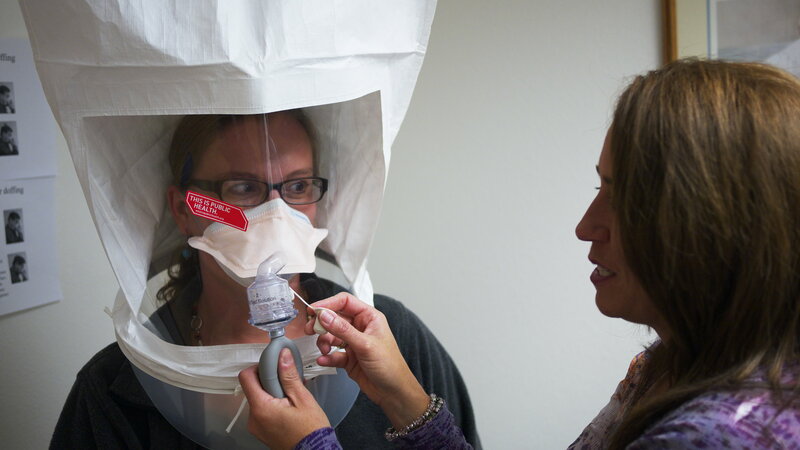 This training class is designed to inform you how to protect yourself using a respirator. Respirators protect workers against insufficient oxygen environments, fogs, smokes, etc. SIMPLY ARRIVE AT THE TIME AND LOCATION YOUR CLASS IS BEING TAUGHT AND START LEARNING TO SAVE LIVES! MSI’s policy does NOT allowed children nor infants in our training classes. You must give notice of your intent to reschedule no less than (24) hours prior to your class date in order to be permitted to reschedule and attend our next available class. You can only reschedule one time. A $45 rescheduling fee will be required before rescheduling a class. Medic Safety Institute (MSI) is a Health and Safety company serving the State of Oklahoma. It follows the safety standards established by the U.S. Department of Labor & The American Heart Association guidelines and is registered as a Small Business, Women & Minority Owned. MSI provides OSHA Construction Safety Training (10 & 30 hrs. ), OSHA Bloodborne Pathogens, OSHA Forklift Safety, CPR (Cardio-Pulmonary Resuscitation), First Aid, and AED (Automated External Defibrillator) training classes. MSI also provides Bilingual training options for your convenience, including offering Command Spanish training programs to professionals and the community. MSI is an approved DHS and CECPD - University of Oklahoma Early Childhood Training Provider and proudly provides Pediatric CPR and First Aid training classes. 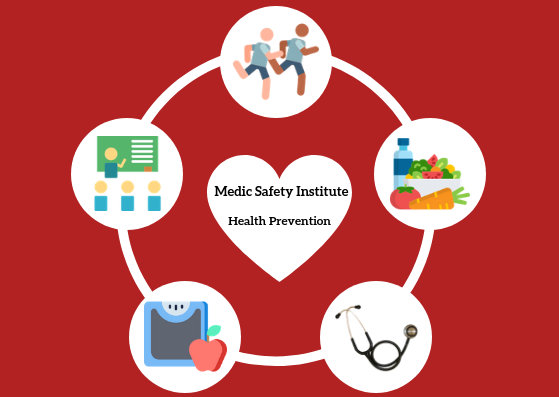 Medic Safety Institute (MSI) delivers high quality, hands-on health and safety training to your business, organization, or family. We offer courses in Cardiopulmonary Resuscitation (CPR), Automated External Defibrillator (AED), First Aid, and a multitude of other personal and workplace safety trainings. Our staff is comprised of safety training instructors and medical professionals who are fully trained and provide safety-centric customer service. MSI is one of the few training providers that offer a combination of on-site, bilingual training programs in the State of Oklahoma. We believe honesty and openness with our customers and our employees is core to our company’s success. We instill long-lasting confidence and customer loyalty by building relationships based on trust. We are committed to creating a respectful workplace and training atmosphere. We strive to treat all our customers and employees with the utmost level of professionalism and respect. We regard integrity as our company’s critical core value. We believe in putting our customer’s needs before the needs of ourselves. We act according to moral principles that never compromise our integrity. We seek to offer the industry’s best instructors who are certified to teach in their respective discipline. Our instructors are highly knowledgeable professionals that are passionate and inspire others to reach their full potential. "MSI Training trained my employees and I am very happy with the results, they saved me a lot of money!" Medic Safety Institute (MSI) has several advantages when it comes to providing training classes. MSI is among the most experienced first aid and safety training organizations in Oklahoma. If you have any questions please let us know through our contact form by clicking on the button below.